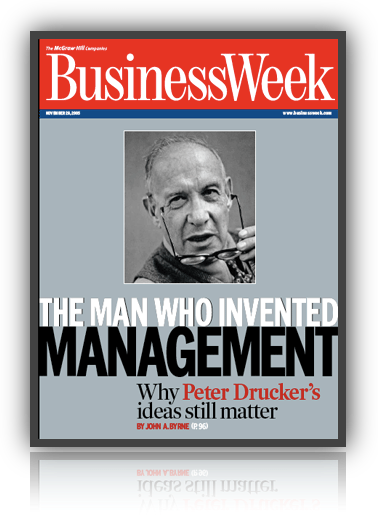 No one has influenced the practice and study of management more than Peter Drucker. Ever since the publication of his first management book in 1946, Concept of the Corporation, which was based on his study of General Motors, Drucker has devoted his career to shaping and developing the art of professional management. In fact, Concept of the Corporation is considered to be the first book on management, period. 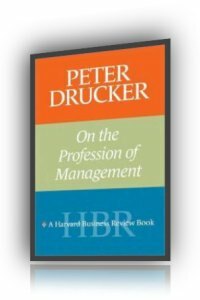 On the Profession of Management is a compilation of Drucker’s work that has appeared in the “Harvard Business Review” over the last 30 years. Review editor Nan Stone has organized 13 articles into two sections. The first, “The Manager’s Responsibilities,” focuses on the work of management, making decisions, and practicing innovation. The second section, “The Executive’s World,” looks at how managers should manage in a knowledge-based economy—indeed Drucker was one of the first to consider the implications of knowledge economies. If you think Drucker has lost anything over the years, the book’s insightful and provocative preface, “The Future That Has Already Happened,” will surely change your mind. “On the Profession of Management” is an insightful and informative read, a tribute to one of the finest minds of the 20th century.